The Umbro Speciali Italia SG benifits from an anatomically posistioned 6 stud configuration for optimum traction in Soft to Good ground conditions. This superb Pro standard boots is one of the classics. 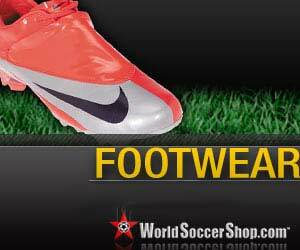 The upper is made from the finest ‘K’ leather and has excellent ball feel, flexibility and comfort. The Umbro Speciali has long since been a legend in many players’ eyes. The boot has always enjoyed a strong and loyal support from players that required simplified comfort, flexibility and instant glove like fit. This Limited Edition Speciali Italia has a wider fit, new improved tongue system and patented Lite Fit construction. Umbro Speciali Anatomical Soft Ground Football Boots. Always enjoying a strong and loyal support from such football players as England International Gareth Barry, the Speciali football boot offers that irresistible mix of simplified comfort, flexibility and an instant glove like fit. Umbro Speciali Anatomical Lite Fit is a superb Pro standard boot. The upper is made from the finest 'K' leather and has excellent ball feel, flexibility and comfort. The upper has been designed to give the perfect 'second skin' fit so desired within the professional ranks. A new improved tongue system features a low profile tongue fastening over the laces. This creates a clean striking zone but also easy access. The Speciali Anatomical is constructed for speed with a lightweight feel, with an anatomical insock providing shock absorption. The Umbro Speciali Anatomical boot benefits from an anatomically posistioned 6 stud configuration for optimum traction in Soft to Good ground conditions. Umbro Speciali Anatomical SG Football Boots.